We all would love to do as much as possible each and every day. Unfortunately, there are only 24 hours in each day. If you are not managing your time and timing your tasks, you are going to have a very difficult time keeping up with your schedule and tasks. You could always use a regular timer to time your tasks. LabTimer turns your device into one. LabTimer has a simple design. It offers four timers with large display and buttons. It displays times in hours: minutes: seconds. 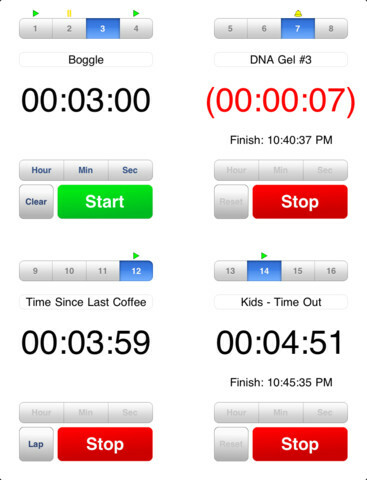 Text labels for each timer can be customized. 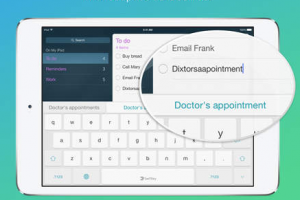 The app disables iPad’s sleep, so your device will keep going. The countdown timers display the projected finish time and has alarms. Countdowns are repeatable. LabTimer is free at the time of this writing. It is a simple but customizable timer and does what it promises. The idea has potential.